The Northern Lights have been a dazzling natural phenomenon for thousands of years and have contributed to the image of Finland as a fascinating country full of mystery. 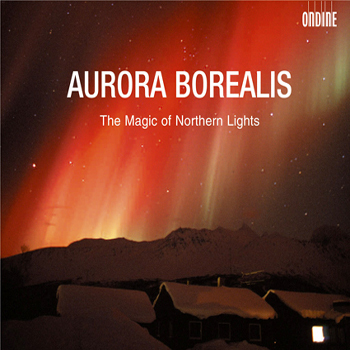 This special hybrid product provides an introduction into the magic of Northern Lights through 13 superb photographs, a guiding text and 12 tracks of Finnish classical music. Auroral expert Jouni Jussila has been researching Northern Lights for over a decade and has reaped international awards for his photographs. His richly illustrated text explains what causes auroras, how native people explained them, in which shapes and colours they appear, and where/when they can best be observed. The included CD compiles excellent performances of Finnish orchestral music which recreate the unique atmosphere experienced when observing these intriguing celestial displays. This product is an ideal cultural visiting card and can serve as a gift for friends, for business partners or simply for oneself.